Today I went to my Grandparent's house for Sunday Lunch. Quite a casual outfit as it was freezing cold, but I prefer wintery/autumn clothes anyway! 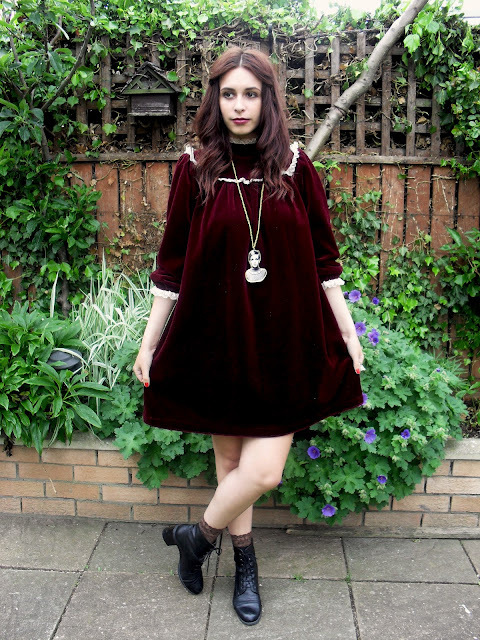 I wore a wine coloured velvet dress which was a very long Victorian gown when I bought it, so I took it up and made it in to a mini dress. I love the cream lace frill edging, reminds me of a dolls dress. A Twiggy necklace I got from Spain when a little market was on which I love. 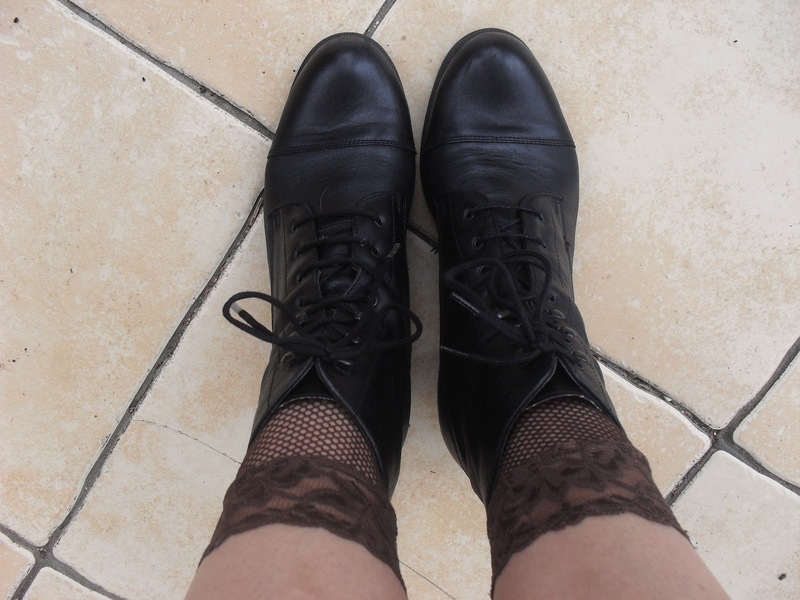 Some brown lace socks and cute black vintage boots with a comfortable heel. Quite a DULL outfit but I really like deep colours especially Jewel tones.